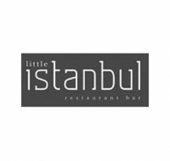 Welcome to Little Istanbul, Canberra’s finest Turkish cuisine. With over 30 years experience specialising in Turkish cuisine, Head Chef Kadir possesses a great passion for excellence and and a vast knowledge of the industry. The menu offers a mixture of time-honored favourites along with more contemporary, innovative dishes and banquets fit for a king. Freshness, flavour and value for money are guaranteed.